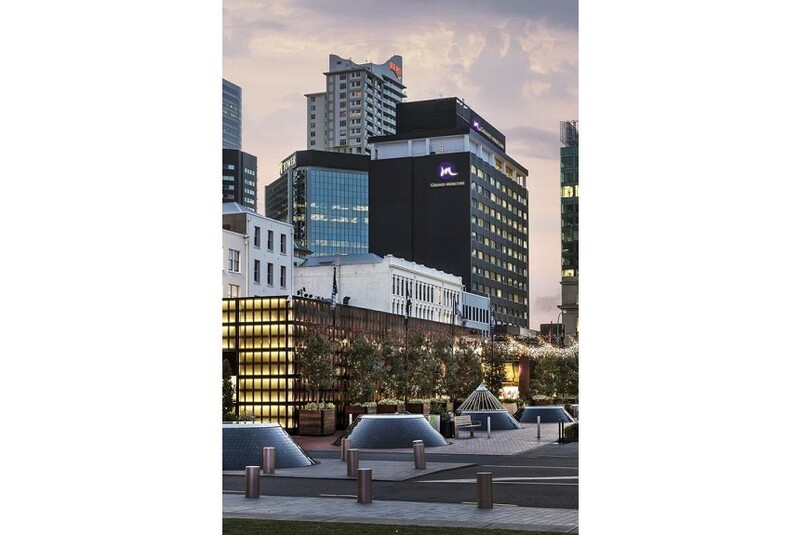 Located in the heart of Auckland's waterfront district, overlooking the thriving Viaduct Harbour and surrounded by designer boutiques and award winning restaurants, Grand Mercure Auckland boasts 207 guest rooms and a dedicated conference and event floor. Guests can enjoy a morning yoga class in the Wellness Room or read a book in the library, which has been richly decorated with warm gold and leather. The business centre has state-of-the-art technology and The Deck, an urban alfresco event space is available. Open for breakfast and dinner, Vue Restaurant offers international cuisine and city views. Attica Bar serves a range of drinks, including coffee, beers, wines and spirits, until late. Reception is available 24 hours a day.